From data theft to using remote-controlled flying machines. The way we live is changing fast. Every fortnight in our Future Focus series, supported by Volkswagen, we’ll look at how one aspect of everyday life could change in the coming years. This week: crime. BETWEEN ARTIFICIAL intelligence, robots, drones and other up-and-coming technologies, anyone would be forgiven for expecting we’d be in safe – if robotic – hands in the future. But while police forces will have access to a whole range of new gadgets, so too will those whose intentions are less than benevolent. Unfortunately, all the technology in the world isn’t going to eradicate crime – in fact, it appears to enable it. In a report released last year, Europol said that criminal use of technology now poses the greatest challenge to police. International experts have warned that cybercrime will increase dramatically in the coming years unless action is taken, and Cybersecurity Ventures have predicted that cybercrime will cost $6 trillion globally every year by 2021, making it more profitable than the global trade of all major illegal drugs put together. One expert, Tracey Follows from The Future Laboratory, has even predicted that by 2040, more crime will be committed by machines than by humans. Already, the data you store on your laptop or phone could (in the right hands) be far more valuable than the device itself, so it shouldn’t come as a surprise that much of the future of crime is cyber based. With more and more devices connected to the internet, the possibilities for data-thieves are becoming greater. Advances in artificial intelligence will likely lend themselves to possibilities including speech synthesis to unlock voice-controlled devices and impersonate the target, automated hacking, and even self-programmed criminal activity – all aimed at stealing data. Move over, cat burglars – stealing information from a smart home’s data storage system could become the new form of breaking and entering. But while hacking into a FitBit to steal data is one thing, hacking into a driverless car is another, potentially much more dangerous criminal activity that could be around the corner. As AI advances, it could potentially be used to hijack cars, drones and other self-driving vehicles, which could lead to new forms of terrorist and war activities. Cars and other devices could also be held to ransom by hackers in the same way as computers and similar devices can be today. Drones could also form a bigger part of criminal activity moving forwards. Drones are already being used by criminals and gangs to transport materials such as drugs, act as look-outs and more. But recently drones have also started to be used in more innovative – if still criminal – ways. During one hostage situation in the US last year, the gang involved used several small drones to fly around the heads of FBI agents to force them out of their hiding spot. However, these new forms of technology will work on both sides. 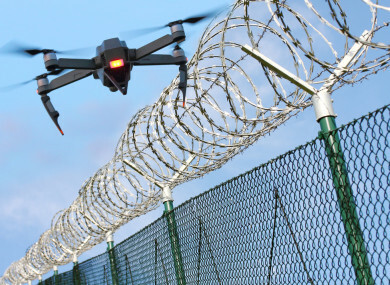 Drones could help law enforcement in similar hostage situations – for example, to produce 3D scans to show what exactly is going on inside a building without risking lives. Drones could also be used to identify crimes. In 2015, when Dutch police noticed that one particular house was the only one free of snow in the area, they found and shut down an illegal marijuana grow house. The heat lamps made the house warmer than other properties, preventing the snow from sticking. But a patrolling drone with heat sensors could identify similar grow houses without waiting for colder weather to show them up – even if patrolling drones do sound somewhat Orwellian. Similarly, drones will likely be used at crime scenes to gather evidence without contaminating the scene. Drones could secure, photograph and scan a scene, keeping humans out of potential danger and avoiding interference with any objects that could identify a suspect. Already, crimes on a larger scale are being identified and solved with the help of drones, augmented reality and 3D reconstruction. Malachy Browne, a senior story producer for the New York Times, and a team of journalists and experts from the New York Times have used video forensics in several cases to build timelines and gather evidence about criminal activities. One piece by the New York Times highlighted evidence which refuted the Assad regime’s explanation of a chemical attack in Douma, Syria, and presented proof that the regime had used a chemical weapon which killed at least 34 people. By gathering documentary footage, crowd-sourced testimony and other data, Browne and the team made a 3-D reconstruction of the bombed building and showed that a chlorine bomb had been used, without ever setting foot in Douma. Machine learning and IoT will also help law enforcement. American company ShotSpotter uses sensors and machine learning algorithms to help triangulate the precise location of a gunshot, accurately pinpointing a gunshot to within ten feet. What does this mean? The future of crime will move further into the realms of cyberspace and digital technology, but so too will methods of crime detection. Although there might be more opportunities for data thievery in the years ahead, crowdsourced data can and will also be used to highlight perpetrators. So while we won’t be seeing a global eradication of crime any time soon, at the very least we can take comfort in the fact that when crimes do occur, there’ll likely be plenty of data to hold criminals accountable. Email “Goodbye cat burglar, hello drone burglar: Here's what crime will look like in future”. Feedback on “Goodbye cat burglar, hello drone burglar: Here's what crime will look like in future”.